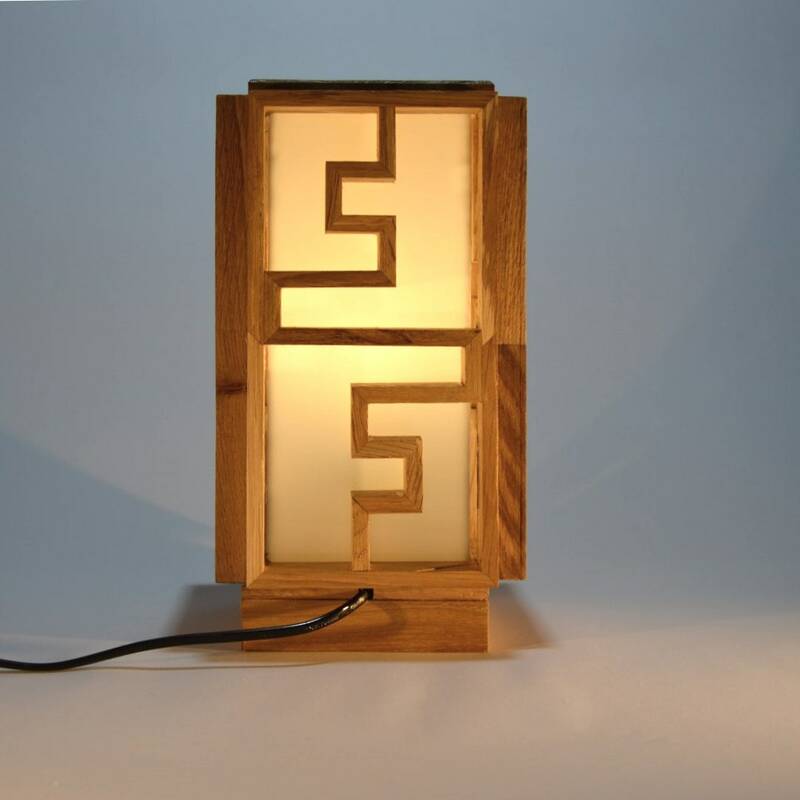 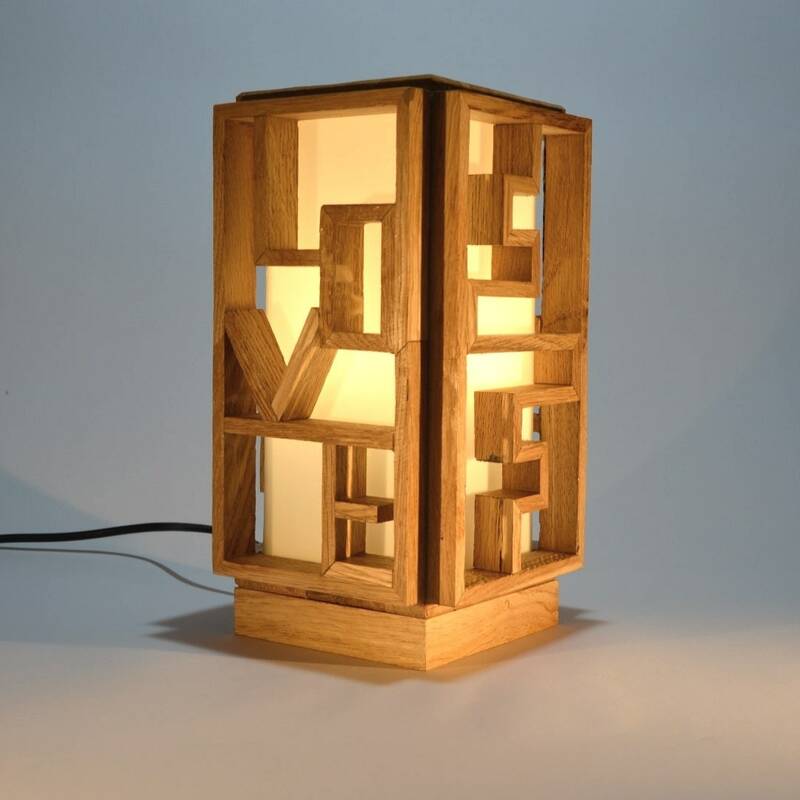 This wooden desk lamp is made from Mosaic parquet wood. 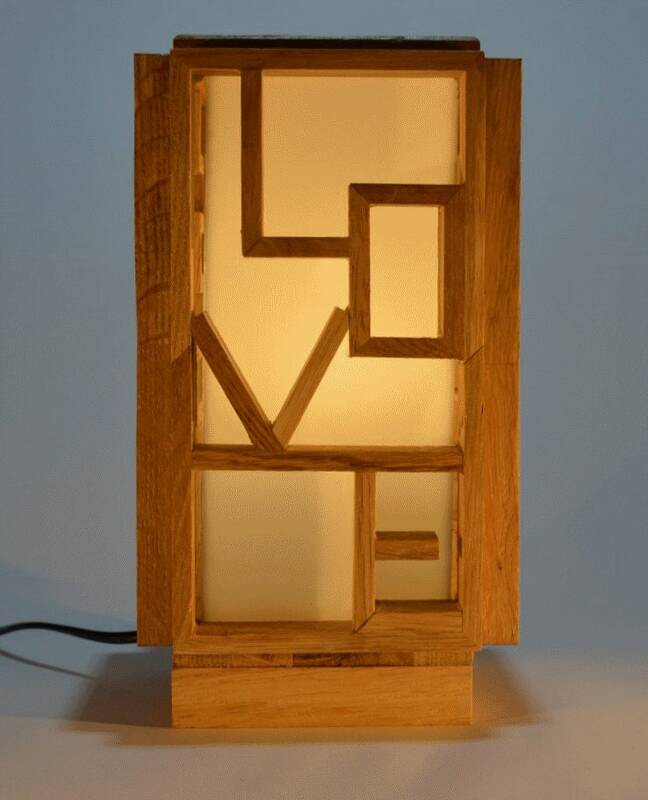 This design is special and original with love on one side and heart on the other. 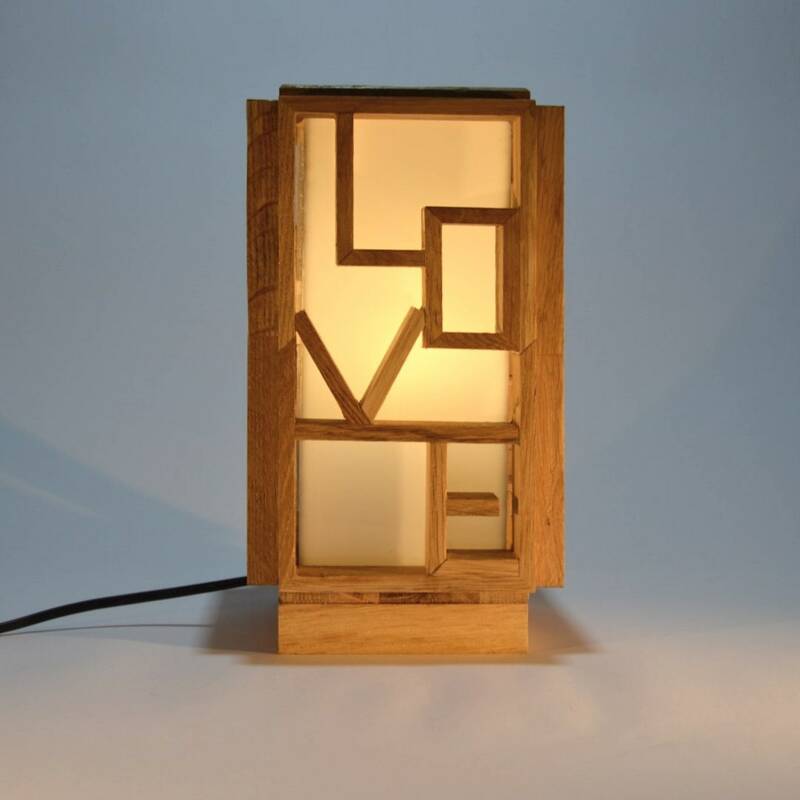 The inside is lined with a plexiglass box to give a nice soft light.